As promised, the new post on my favourite brand! 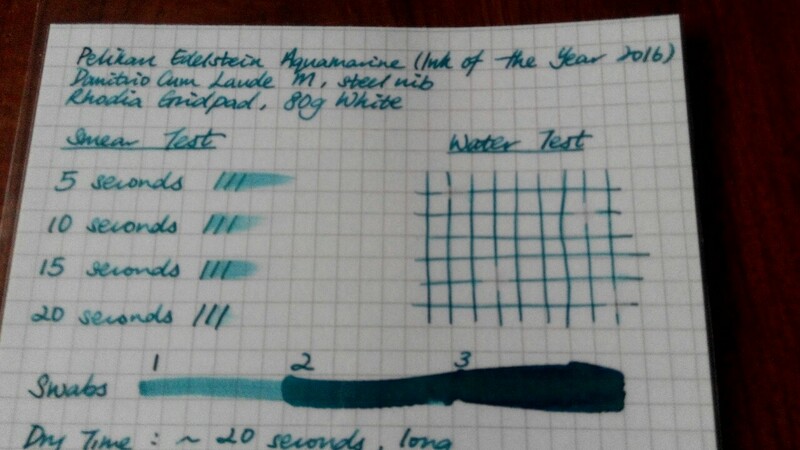 This one is about IotY 2016 Aquamarine. I would call this the ink version of Lamy 2000. What do I mean? 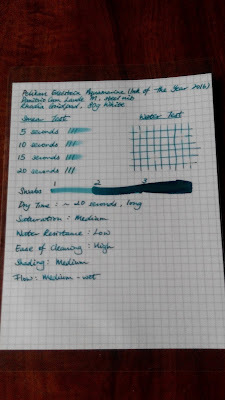 I mean Aquamarine wasn't love at first sight, but upon the continuous use of it... it just grew on me. I've put it in the Danitrio (refer to previous post for more info on the Dani). 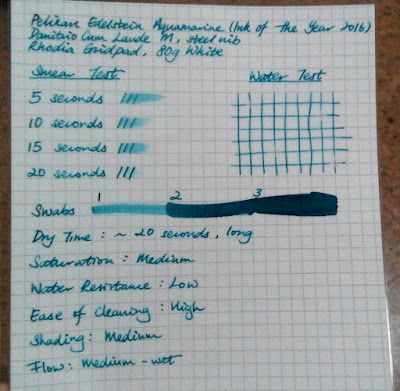 I find Aquamarine a good match for the body! 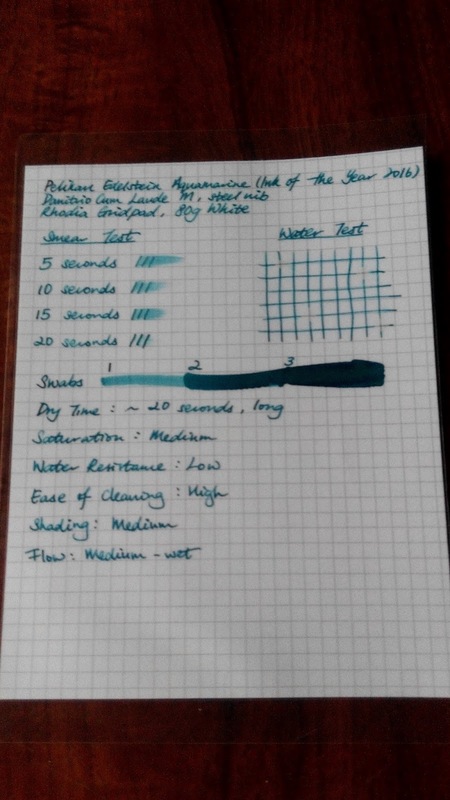 My personal choice for Aquamarine would be something a tad brighter than what Pelikan has produced. 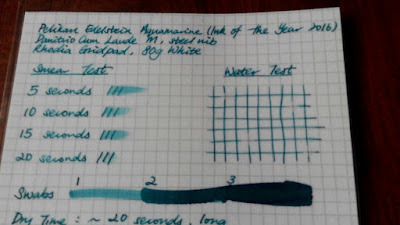 However, having said that, I still like this ink. It pushes me to explore a different shade from my usual repertoire of rich bright blues.